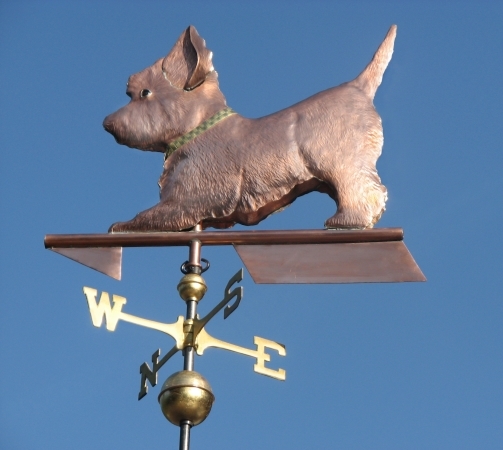 There are certain situations where it can be helpful to have some type of security device made for your weather vane. 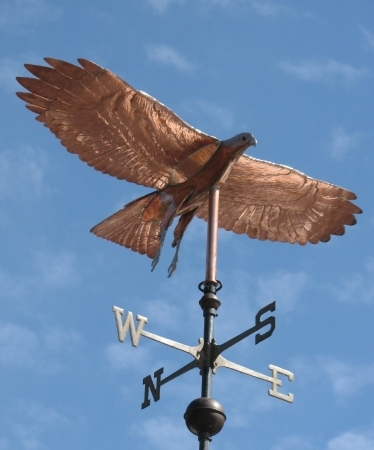 All of our airplane weathervanes and soaring bird weather vanes come with a standard security device because in high wind situations the sculpture piece itself can actually develop lift under the wings, possibly causing it to shimmy up the vertical installation rod! 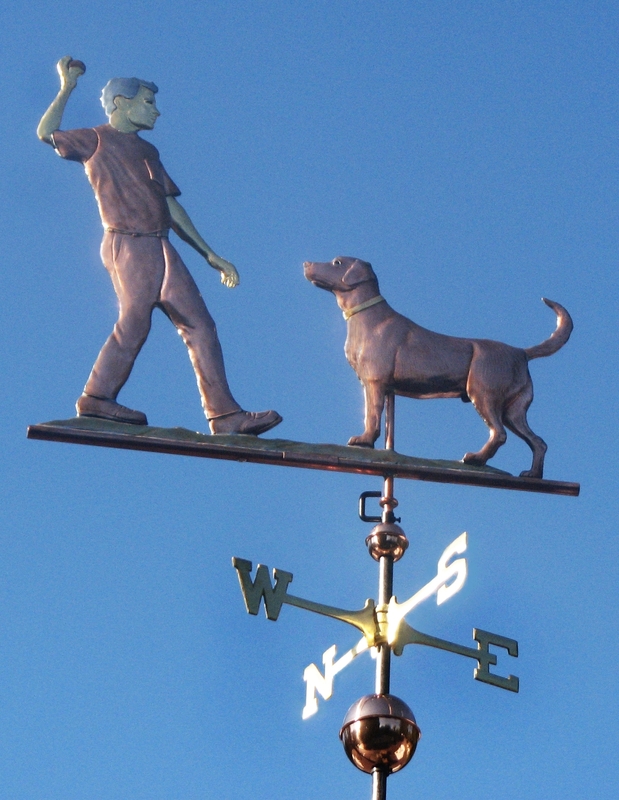 This security device allows the weathervane to turn freely in the wind but deters it from lifting when winds are high. If you live on the coast, at high elevation, or in another high wind environment, an optional security device can provide a little extra insurance against that one day in a thousand where extremely high winds are threatening. 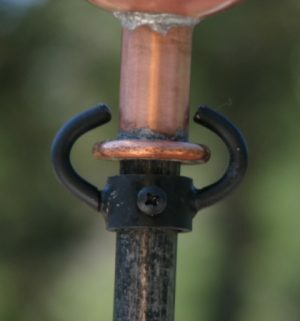 Customers with weather vanes installed on public facilities occasionally request an optional security device as a deterrent to possible theft. West Coast Weather Vanes offers two types of security devices. Our Standard Security Device will work with most of our weathervanes. 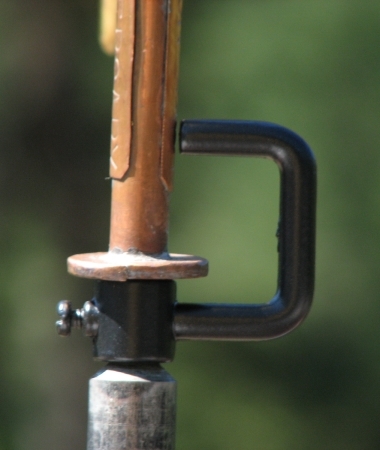 The Heavy Duty Security Device is designed to work with larger weathervanes in high wind areas such as right on the coast or on mountain tops. Note: The lip that creates the stop for the security device is attached to the weathervane sculpture piece at the time the weathervane is being constructed. It cannot be added after the weathervane has shipped.